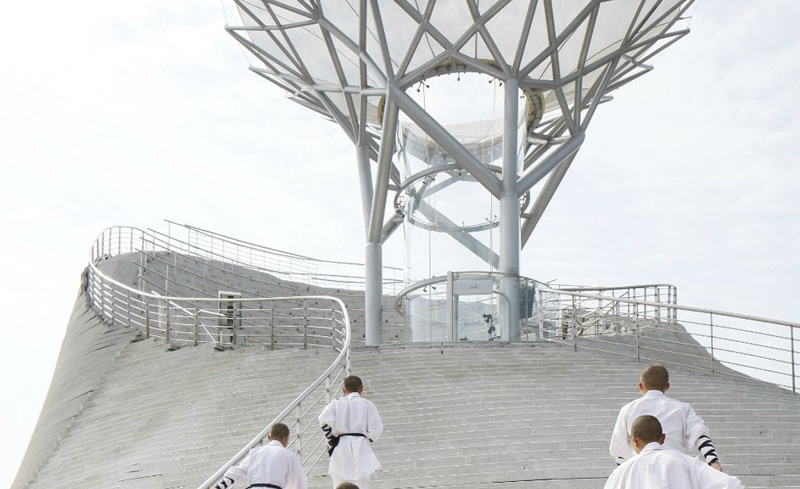 The Latvian architect Austris Mailītis is asked to fulfill the dream of a visionary Chinese investor – to create a unique architectural space on the sacred Songshan Mountain in China that would give the Shaolin monks the power to fly. Flying Monks Temple is a documentary following Austris on his mission to build something that no-one has ever dared before and depicts the cultural “clash” between two dreamers. This special screening at Mudam will be followed by a discussion with the main protagonist Austris Mailītis and the director of the film Žanete Skarule.